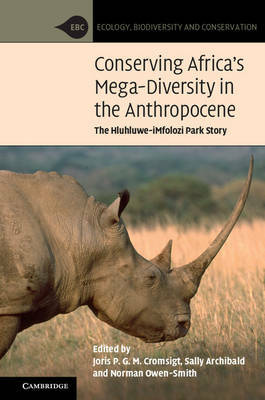 Centring on South Africa's Hluhluwe-iMfolozi Park, this book synthesizes a century of insights from the ecology and conservation management of one of Africa's oldest protected wildlife areas. The park provides important lessons for conservation management, as it has maintained conservation values rivalling those of much larger parks sometimes through, and sometimes despite, strong management interventions, including the rescue of the white rhino from extinction. In addition, the book highlights the ecological science produced in the park, much of which has become widely influential, including the megaherbivore concept, new functional approaches to understanding biomes, and new understandings about the role of consumers in shaping ecosystems. The volume is ideal for researchers and policymakers interested in the conservation of relatively small, isolated and protected areas.